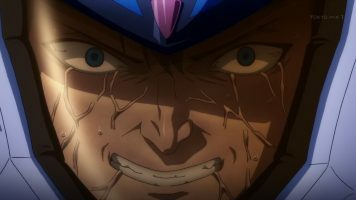 Messer is having nightmares while recovering from his injuries when he takes a call from Kaname, who’s checking up on him. 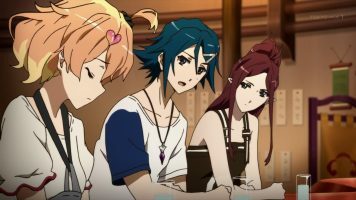 Later that day, Kaname briefs Walküre and Delta Squad regarding why Walküre songs affect the Var Syndrome and how Freyja and Hayate resonate as Hayate also has the abilities Walküre have. Hayate and Mirage pay Messer a visit, where Mirage reveals she knows Messer was infected with Var on Planet Alfheim two years earlier. However, she and Hayate are surprised Captain Arad already knows about this. Hayate discovers Messer has a bracelet with a song from Kaname on it. 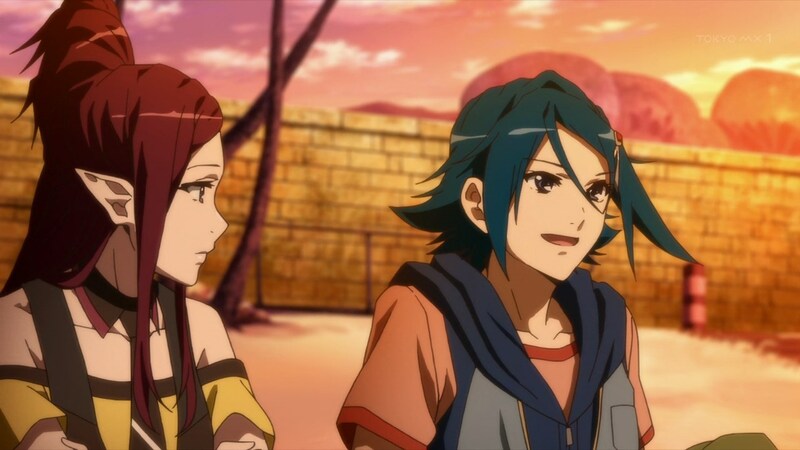 Later, he and Mirage discuss this as the sun sets, leading to rumors that the two are dating, which Freyja hears of. Mirage talks to Kaname about Kaname’s earlier singing career. 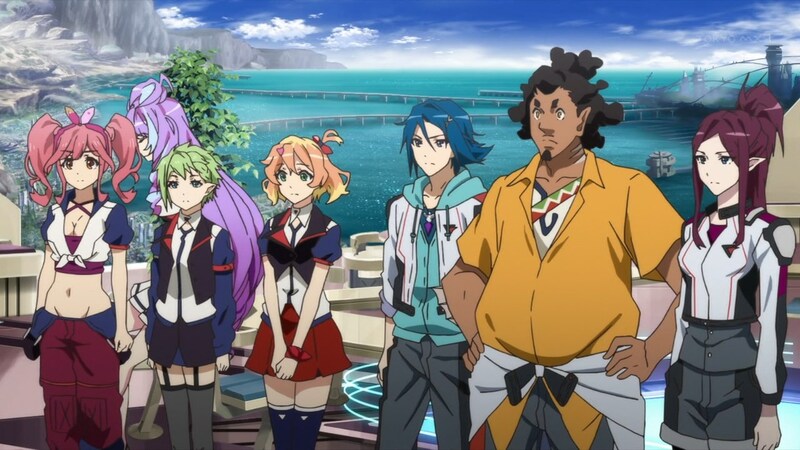 The next day, Walküre rehearse singing under water, after which Kaname discusses the Protoculture ruins with Arad. Messer returns to duty, where he starts losing control to Var and defeats his entire squad in a training session. 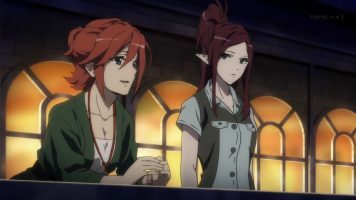 Hayate and Mirage discuss the situation and are seen by Freyja, who assumes the worst. 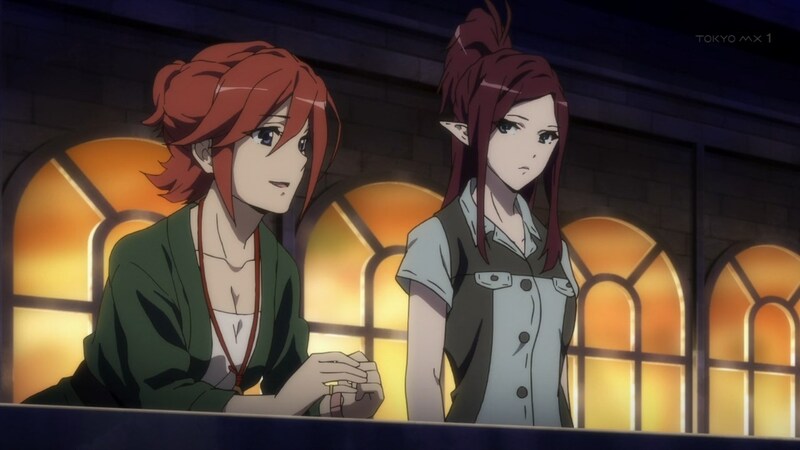 That night, Freyja follows Mirage out, where she discovers her meeting Hayate. 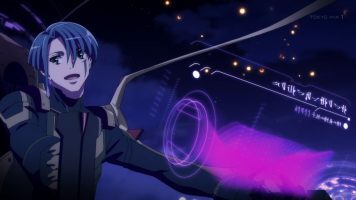 Hayate and Mirage confront Messer over his condition when Freyja is discovered. Just then, the Ariel Knights attack, so Delta Squad responds. The fight is a decoy to allow Windermere to check out the Protoculture ruins. Messer is taken over by the Var, but Kaname singing with Walküre restores him. 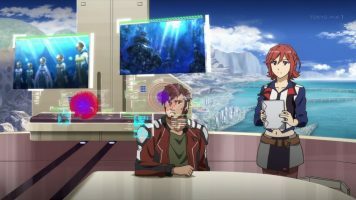 After the fight, Kaname confronts Captain Johnson over Messer’s condition. Meanwhile, Freyja is relieved that Hayate and Mirage aren’t dating. Figures the one character that doesn’t need to be jacked up is the one who gets jacked up, while the character who needs to be slapped around skates again. There wasn’t much to this episode. 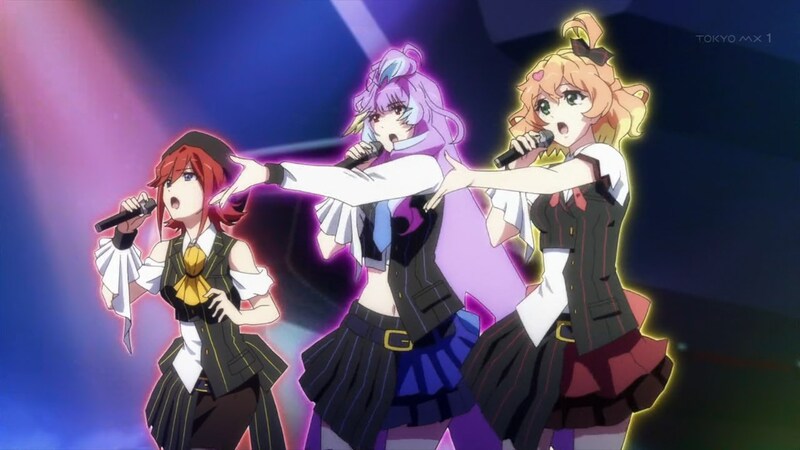 The plot element of the Protoculture ruins was advanced a tiny amount with one of our forced Walküre songs showing our magical idol babes singing under water, where the Protoculture ruins are. Then, we see the Ariel Knights attack the Delta Squad planet Ragna, it is so they can “secretly” scope out the ruins. Everyone in Chaos seem so stupid; they couldn’t tell that two fighters were not engaged in hostilities and out near the Protoculture ruins for an obvious recon mission. But hey, listen to another Walküre song instead and don’t forget to buy the CDs. The other development is that Kaname and Messer might actually have a thing for each other since she’s very concerned for his condition and he treasures one of her songs, which helped him with his Var Syndrome. Up until now, Kaname was always seen with Arad, but they never seemed romantic, more like team leaders who worked well together. And they way she calls him “Messer-kun” has a romantic hint to it. 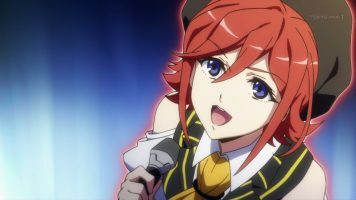 I also liked that we got a bit of information on why Kaname is the leader of Walküre, but no longer the lead singer of Walküre. 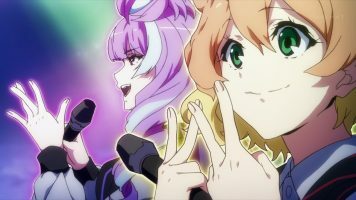 I didn’t like the forced story element whereby rumors were spread about Mirage and Hayate dating, causing Freyja to be jealous. If really smacks hard of desperately trying to force a love triangle element into the story. I really, REALLY don’t want it to go there. In the end, there’s not much more to Macross Delta 09 other than more excuses to play Walküre songs for folks to buy. Attention all passengers, we are pleased to announce that a new Genshiken chapter has landed. You may now release your fetters and go straight to reading.